Come into the shop to see, try out and compare a complete range of riser recliner chairs. The range on display includes single, dual motor, tilt-in-space and wall-huggers. Many come with optional extras such as high leg action, full recline or have separate lumbar and head control. Most have a choice of backs, fabrics and sizes as standard, available within a few days from order. Alternatively chairs can be purchased from the shop floor. We also offer a bespoke range, made to measure, with a huge choice of fabrics and styles. It is really important to have the right chair to ensure support and comfort especially when sitting for longer periods of time. 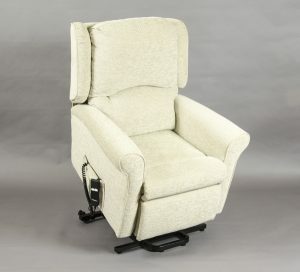 We have chosen to display an extensive range to enable you to sit in and try them out to find the perfect solution to suit your comfort, mobility needs and your budget. 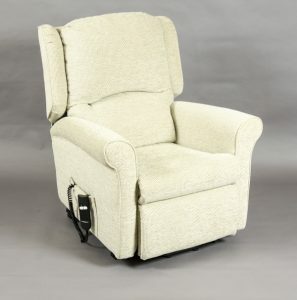 We stock chairs from a number of suppliers including Drive, Pride, Phoenix and Cosi Chair. Prices range from £495 to around £1,900. With all that to choose from, it really is worth a visit to the shop. 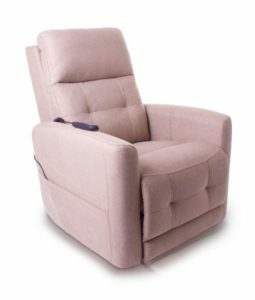 The new Ambassador chair’s supportive seating positioning system and deep waterfall cushions provides the ultimate in seating comfort. 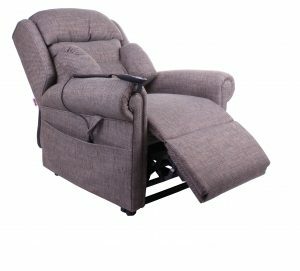 Its unique design and choice of sizes enables almost anyone to achieve maximum comfort, whether seated, rising or reclining. Featuring Seminar Dual-motor tilt-in-space mechanism with variable angle lift, the Ambassador has a waterfall back design, a hybrid pocket sprung seat base, pleated wings and arm covers & antimacassar, as well as four lockable castors. five-year guarantee and a 25-stone weight limit. Single motor and dual motor options. 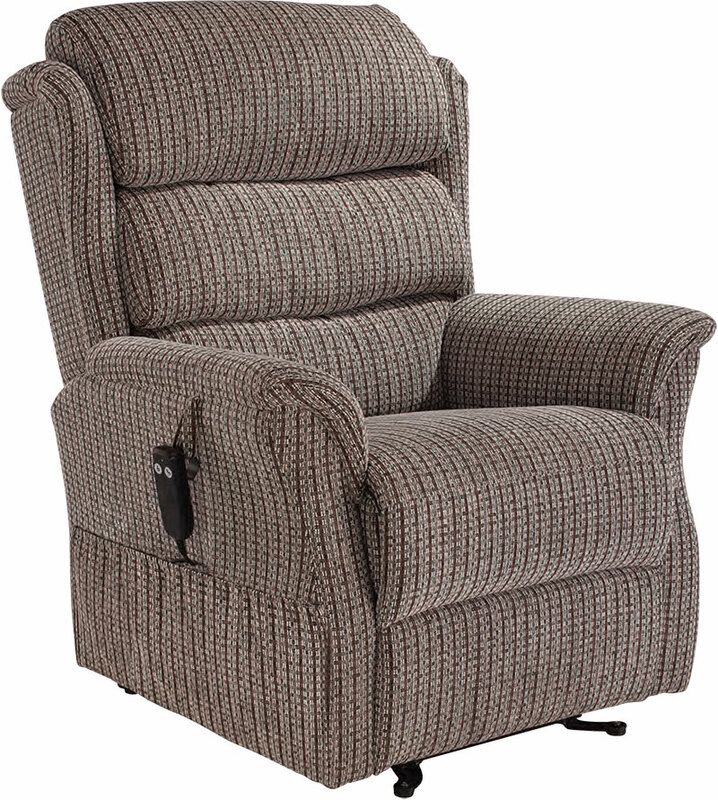 This softly padded riser recliner offers comfort and value for money. dual motor riser recliner allowing the footrest and backrest to be operated separately. Here seen in the luxurious wipe clean faux leather, it also comes in two other fabric options. 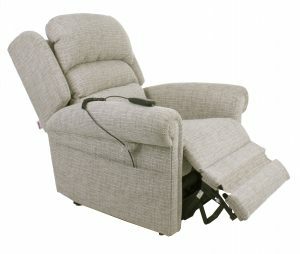 single or dual motor options, both feature a unique leg rest extension, padded seating and offer exceptional comfort and positioning. 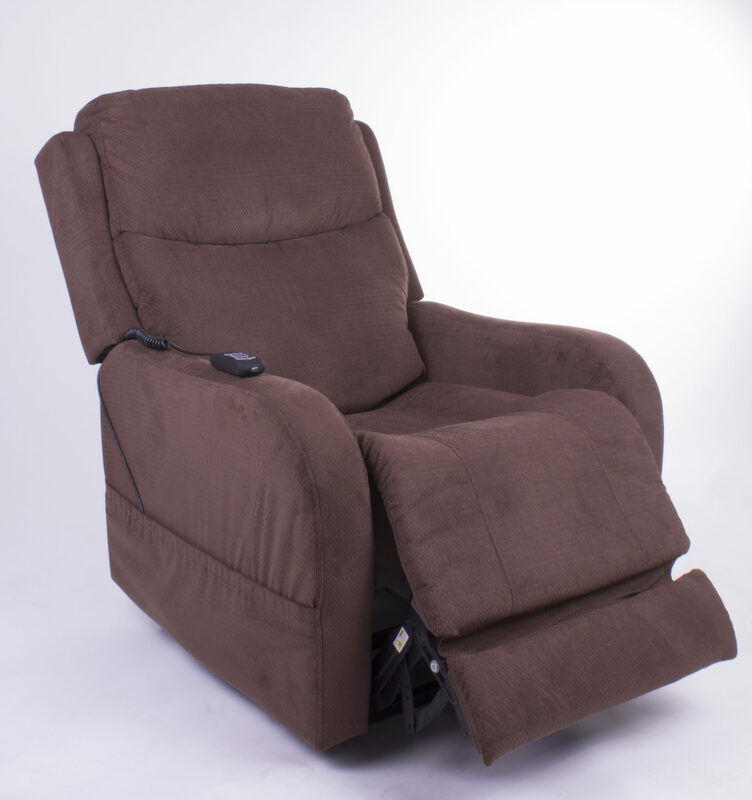 This single motor lift chair has a tilt-in-space motion enabling higher leg elevation where ankles need to be above hips for improved circulation. 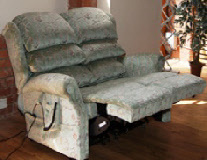 It avoids any friction as the angle of the seat stays constant as the chair reclines. We are pleased to be able to stock this new tilt-in-space riser recliner. 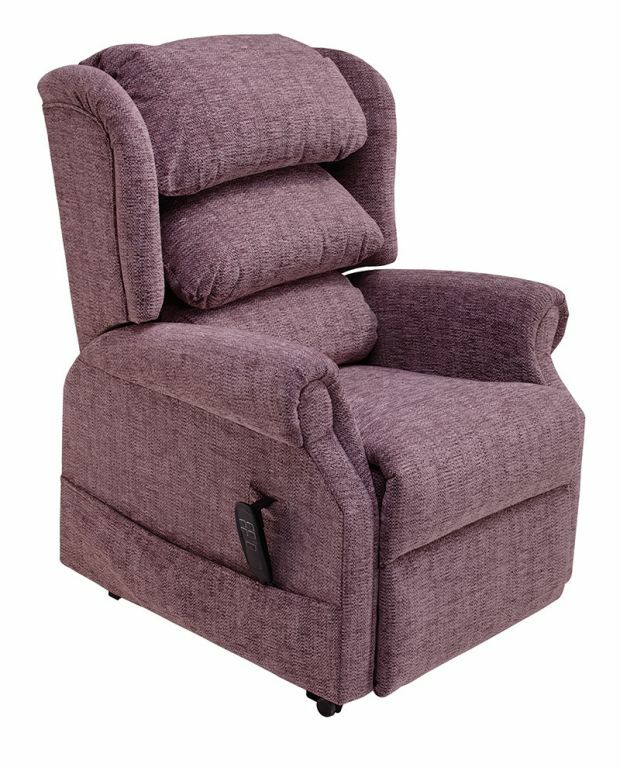 A beautiful, affordable lift and recline chair featuring a classic look with detailed piping on the arm, it offers great value, comfort and design. 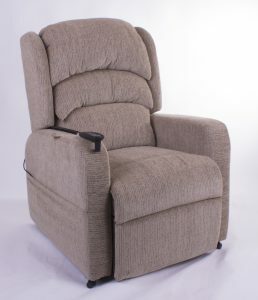 This new rise and recliner chair featuring a new compact modern design offers exceptional value, comfort and support. The single motor action comes with a simple to operate two button handset. 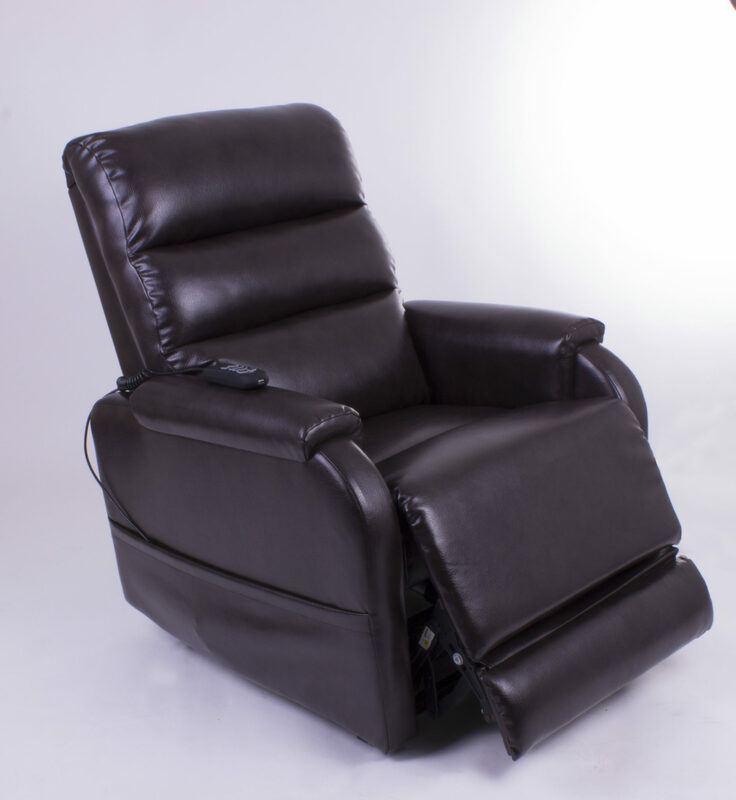 This dual motor rise and recliner features a mechanism that allows independent operation of the legrest and backrest, thus providing countless recline options for finding the most comfortable position. Colours and fabric options are as the single motor version – soft feel PU in brown, cream or black; or oatmeal, terracotta or brown fabric. We offer bespoke chairs and profiling beds which are available made to measure by a British manufacturer with a large range of styles, features and fabrics to choose from.